Well, today’s giveaway might be appropriate soon, if the weather forecast is to be believed. 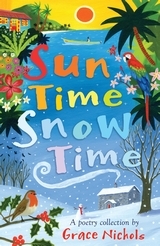 Anne has chosen a lovely book of poems called ‘Sun Time, Snow Time’ (RRP £6.99) which is a cross-cultural collection of poems, contrasting life in the Caribbean with life in the UK. All written by one of the UK’s best loved poets, Grace Nichols, this is an ideal book to have on your desk if you’re looking for short, simple verses to share with your class. To be in with a chance of winning today, all you have to do is RT the competition tweet on Twitter – or – tell us in the comments below or on FB – are you a #suntime or #snowtime person? I’m a #suntime person, obviously, as I’m a giraffe – but I am looking forward to seeing my first snow this Christmas and sampling some #snowtime! 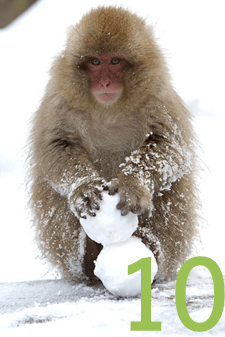 #snowtime person. Especially if happens during the Christmas holidays! #snowtime person. Best days are freezing cold and crisp snow. I do like giraffes a lot Jeffrey but some other favourites are robins, polar bears and penguins. I am a snow person- I love snuggling up in acosy jumper with a warm drink, coal fire on and reading the Little Women and Anne of Greengables over again- my idea of heaven. Hello! Jeffrey here! Thank you so much to everyone who stopped by the blog to share their #snowtime #suntime thoughts. Interestingly, it seems that #snowtime is more popular at the moment and many of you are looking forward to cosy days in the holidays when you’ll be cuddled up inside. Anyway, we do have a winner – congratulations to Susan Scott – a lovely poetry book will be on its way to you shortly! Just email your address to hello@thelearningzoo and we’ll do the rest!